Watching Shakespeare: what am I supposed to do? Caliban seems frightened by it all, too. It’s ok, by the end of this we’ll hopefully clear all this up. We’ve taken many approaches to Shakespeare over the years, from the free-wheeling comic distillation that was The Complete Works of William Shakespeare (abridged) to a quite traditional take on Titus Andronicus to a complete re-writing and musical-izing of Pericles. I understand that sometimes confuses people and the last thing I ever want to do is create confusion or, worse, mislead someone. I hear a lot that we “update” or “adapt” Shakespeare and it should first be noted that once and only once did we complete rewrite, that is to say that we adapted, one the Bard’s plays and that was Pericles. In truth, Pericles was merely based on the play by William Shakespeare. In every other instance (sans of course the (abridged) show) we’ve always performed it in Shakespeare’s gorgeous language. We’ve ‘updated” other shows by putting them in modern dress (As You Like It, Taming of the Shrew) or set them stylistically in 1920s Ybor (Twelfth Night). We’ve even done some pretty heavy-handed cutting of the scripts to up the dramatic punch for a modern audience (Macbeth), but we’ve always otherwise left the language alone. This is the case with our current production of The Tempest. I suppose I should also say we’ve never truly done Shakespeare in the period it was written. One, those clothes are expensive and two I don’t think our audiences here would really be into that. I do my best to make these productions as accessible as possible (because I believe that when well-executed the language and stories still are) to help eliminate perceived barriers to taking one of these great plays in. Entry points for a modern audience here include the touches of sci-fi and fantasy — think Neil Gaiman’s Stardust meets the Doctor Who franchise — as well as original music composed by Jeremy Douglass, aerial silk work, a few relatively modern gags, video projections, and a bit more. Remind yourself that the first scene mostly sets the mood of the play, and rarely has vital dialogue, so if you miss some of the words at the beginning, that is ok. It can take a couple minutes to tune your ear to Shakespeare’s unusual language. Our first scene is purposefully played in a very loud sound environment with the thought it will make the audience lean in a bit more, and is followed by the introduction of Prospero and her story of how she got to the island. It’s a little bit like listening to a new friend or co-worker with a heavy accent speak or getting into a movie in a thick dialect; at first it can be difficult to understand, but after a minute or two it’s easy. Our actors are professionally trained to make sure that you understand the words, so you’ll catch on quickly! Do not worry about getting each and every word or each and every obscure reference to an ancient god or philosopher. 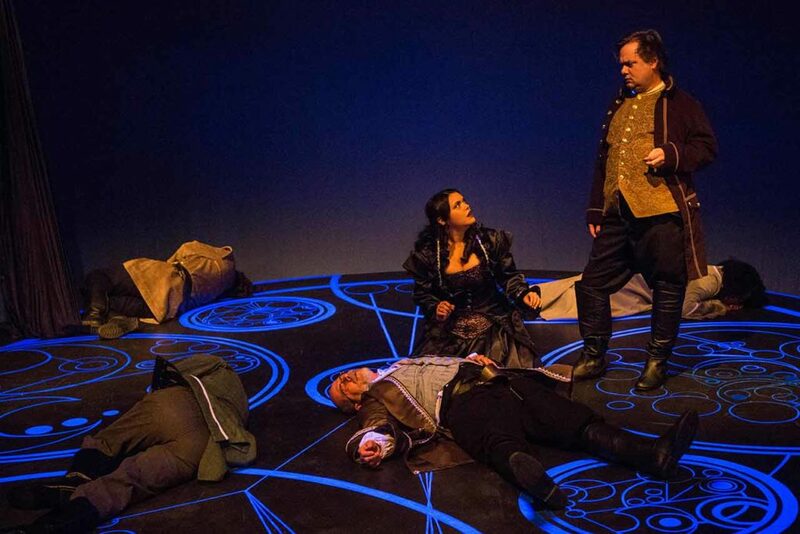 We did our best to cut out the bits we knew that no one would really have a chance of understanding, but the actors’ tone, physicality, and the action happening on stage goes a long way to re-enforce what’s going on in the text. This still requires a certain focused, active form of spectatorship that can be hard for those of us used to being able to pause, rewind, fast-forward, or stop at will. Enjoy yourself, and feel free to express your enjoyment. Laugh at the fools, clap for the heroes, gasp at important revelations, and applaud for the actors at the end to thank them for their work. This will keep you engaged in the show, and help let the actors know that the audience is paying attention and enjoying the play. Remember that in a play, unlike in a movie, the actors can see and hear you, too! The actors are often very close to the first few rows (and not that far in truth from the back row), and they can definitely hear the audience (as can everyone else sitting around you). That means please don’t talk to your neighbor during the show, don’t allow your phone to make noise, and don’t text/tweet/check the Lightning score (it lights up your face!) – these can all be very distracting. The actors are also going to speak directly to you in moments, “breaking the fourth wall,” what Shakespeare calls an ‘aside.’ These asides (in that the actor will stop living in the moment of the scene to speak aside to the audience — like Deadpool or Ferris Bueller “breaking frame”) are not only ways for characters to give the audience inner-truths, secrets, and lay out their plans but they are ways to help strengthen the bond between actors and audience. Don’t be afraid and look away! We promise no one is getting dragged up on stage. Our performances of Shakespeare are intentionally immersive, in addition to getting all of the mileage we can out of interacting with the audience during asides, we choose to perform Shakespeare in an environmental way. Actors use the aisles throughout the entire show (so please stay clear of them). Ariel works a silk in the middle of two of our seating areas. We purposefully seat the audience around three sides of the stage. We need these front sections full, so that the actors have those people to play with. Please fill in the front, they’re not going to bite. I promise that you will better enjoy the show if you allow yourself to be a part of it. This is why we block off rows in the back of the theater on nights we are not sold out. This is for not only you or the actors, but EVERYONE’s experience. You will also have a better view of the stage and a better sound mix in the front rows or the side-seating than you will at the rear of the auditorium. Win-win-win. Finally, remember that the theater is for everyone. In Shakespeare’s day it was a very affordable form of entertainment that appealed to everyone (something that we are also working very hard to provide). 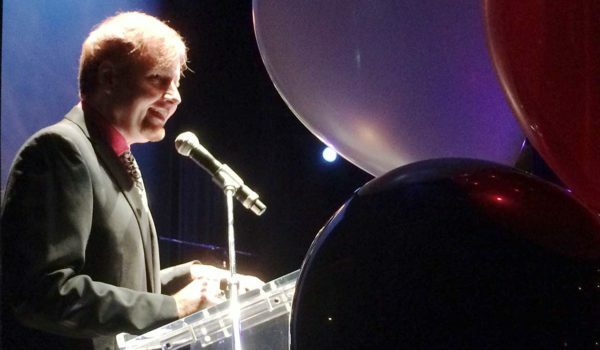 Theater is not meant to be only for the upper class, only for college graduates, or only for older people. Shakespeare’s plays can speak to you whether you have seen lots of plays or no plays at all, if you’re rich, poor, young, old, or if you enjoy cheap jokes, amazing speeches, or action sequences. Shakespeare wrote his plays to be for everyone, and that still shows through today. 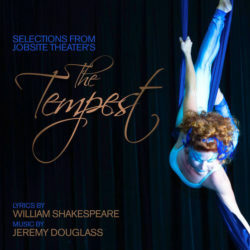 We’re excited to share with you this production of The Tempest! 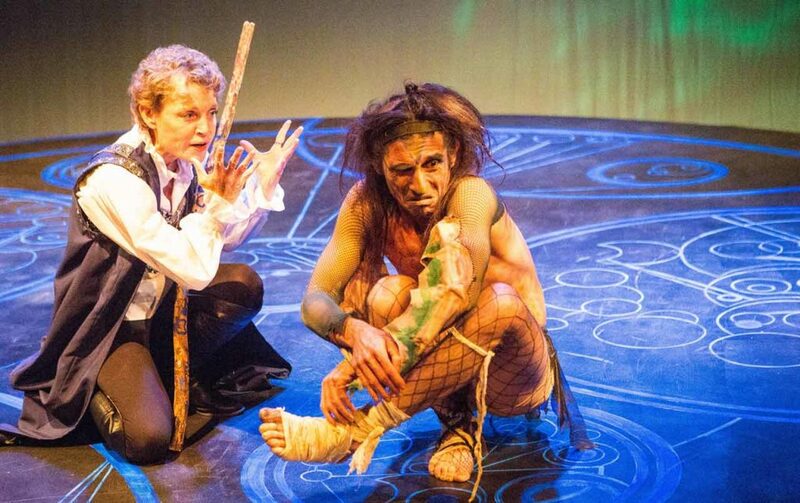 The Tempest is on stage through Feb. 11. If you have a middle or high-schooler you plan on bringing, ask us about our study guide!